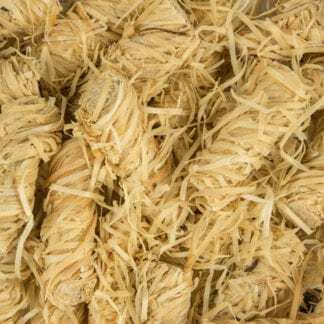 Buy firewood online. Money back guarantee. Book your log delivery. Low moisture firewood logs for sale. Kiln dried logs delivered to Bedfordshire & Bedford. 100% British hardwood logs. Welcome to Firewood Fund, the place to buy seasoned & kiln dried logs online. Get free delivery to Bedford and Bedfordshire. Firewood Fund’s logs for sale are ready to burn because they’ve been Kiln Dried. Our recommendation is to stock up your Firewood in warmer months to benefit from discounts. That said, you can buy logs online from us 365 days per year! Did you know the lowest recorded temperature in Bedfordshire was minus 18.3 °C! A great reason to bulk buy some kiln dried logs! √ Order from us and receive free delivery to your address. Not quite in the heart of England, the Midlands, the Home Counties or in the Anglia, although small, Bedfordshire is a perfectly formed county. With only 477 square miles usually lumped in with one area or the other, it is home to diverse people who are moving to the country to make ends meet. Truth be told, it shares a few of the characters of all the different area it borders. Bedfordshire has flatlands just like the Anglia region; has rolling hills just like the heart of England; has large swathes of land commuters with easy access to London, like many of the Home Counties and also has heavily industrialised areas similar to the Midlands. The layout of Bedfordshire is somewhat varied: it has flat arable land to the east and north, steep hills to the south that mark the beginning of the Chiltern Hills and its area of exceptional natural beauty. Among these hills is Bedfordshire’s peak point, Dunstable Downs, 797 feet from sea level. The river Great Ouse makes its way through the county including the county town of Bedford. It wanders for over 45 miles through the county, while as the crow flies it is just approximately 17 miles from Turvey (where it enters the county) to where it leaves close o Eaton Socon. If you live in Bedford or any where else in Bedfordshire and are searching for kiln dried logs for sale, then you certainly are in the right place! Firewood Fund deals just in the most resourceful logs for open fires and wood burning stoves. With water content that is below 20%, our kiln dried logs are simple to light and generate sufficient heat! Kiln dried wood is likewise better than seasoned wood and can therefore be stored with less possibility of your chimney being choked with debris. The low water content of kiln dried firewood also implies it is lighter-in-weight, making it easier to carry. We have a variety of top quality kiln dried logs on sale, which can burn for about three times compared to the unseasoned wood. This is because our kiln dried logs for sale are preserved using a purposely-designed kiln that leaves less residual dampness on the logs. Therefore when they burn, the kiln dried firewood attains higher temperatures very quick – and longer! You can burn kiln dried hardwood immediately – no additional drying time is needed for kiln dried wood. 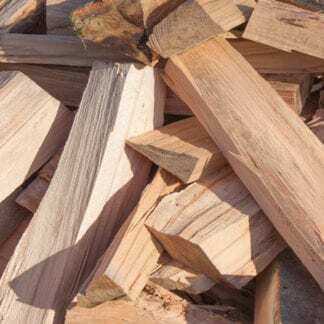 Our durable kiln dried logs are the ideal multi-functional fuel; you may as well make use of the quality kiln dried wood available for sale in chimneys, pizza ovens or braziers! As one of the leading log suppliers in the United Kingdom, we can supply your fuel even during periods of high demand of the year. √ Colder months. Logs perfect for your multi fuel stove, log burner or traditional fire. 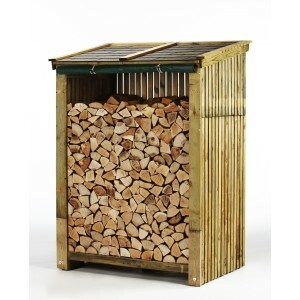 √ Firewood ideal for trade use in Wood Fired Pizza Ovens. √ Service perfect for restaurants or public houses with an open fire or stove. 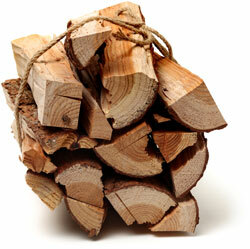 √ Firewood logs also perfect for summer use on your traditional campfire, firepit or chimnea. So what are you waiting for? How a browse today, we often have seasonal sales on, so if you make a purchase in warmer months, you may benefit from a discount. Click the menu button above to browse our kiln dried logs for sale. Buy firewood the convenient way. 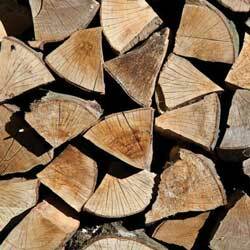 Order hardwood online then get your kiln dried hardwood logs delivered to your address. Why struggle loading your car at the supermarket or garage? Buying logs in small quantities is expensive. 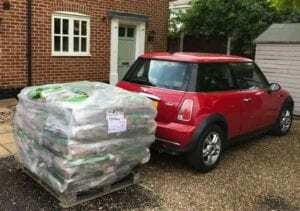 Having bulk firewood delivered is the best value way to buy logs. We can supply you a kiln dried logs pallet direct to any Bedford or Bedfordshire mainland address. Aley Green, Ampthill, Apsley End, Arlesey, Aspley Guise, Aspley Heath and Astwick. Barton-le-Clay, Battlesden, Beadlow, Bedford, Beeston, Begwary, Biddenham, Bidwell, Biggleswade, Billington, Bletsoe, Blunham, Bolnhurst, Bourne End, Bletsoe, Bourne End, Cranfield, Box End, Brickhill, Brogborough, Bromham, Broom and Budna. Caddington, California, Campton, Cardington, Carlton, Castle, Cauldwell, Chalgrave, Chalton, Chaul End, Church End, Arlesey and Church End Totternhoe, Chawston, Chellington, Chicksands, Chiltern Green, Clapham, Clifton, Clipstone, Clophill, Cockayne Hatley, Colesden, Colmworth, Cople, Cotton End and Cranfield. De Parys, Duck’s Cross, Dunstable and Dunton. East Hyde, Eastcotts, Eaton Bray, Edworth, Eggington, Elstow, Eversholt, Everton and Eyeworth. Fairfield Park, Fancott, Farndish, Felmersham, Flitton and Flitwick. Goldington, Gravenhurst, Great Barford, Great Billington, Great Denham and Greenfield. Hall End, Harlington, Harpur, Harrold, Harrowden, Hatch, Haynes, Haynes Church End, Haynes West End, Heath and Reach, Henlow, Henlow Camp, Herrings Green, Higham Gobion, Hills End, Hinwick, Hockliffe, Hockwell Ring, Holme, Holywell, Honeydon, Houghton Conquest, Houghton Regis, How End, Hulcote, Husbourne Crawley and Hyde. Ickwell, Ion, Ireland, Keeley Green, Kempston, Kempston Central and East, Kempston Hardwick, Kempston North, Kempston Rural, Kempston South, Kempston West, Kensworth, Kensworth Lynch, Keysoe, Keysoe Row, Kingsbrook, Knotting and Knotting Green. Langford, Leagrave, Leedon, Leighton Buzzard, Lidlington, Limbury, Linslade, Little Barford, Little Billington, Little Staughton, Lower Caldecote, Lower Dean, Lower Gravenhurst, Lower Shelton, Lower Stondon, Lower Sundon, Lower Woodside and Luton. Marston Moretaine, Maulden, Melchbourne, Meppershall, Millbrook, Milton Bryan, Milton Ernest and Moggerhanger. New Mill End, Newnham and Northill. Oakley, Odell and Old Warden. Pavenham, Pegsdon, Pepperstock, Pertenhall, Podington, Potsgrove, Potton, Pulloxhill and Putnoe. Queens Park, Radwell, Ravensden, Renhold, Ridgmont, Riseley, Roxton, Shortstown, Salford, Salph End, Sandy, Seddington, Sewell, Sharnbrook, Sharpenhoe, Sheep Lane, Shefford, Shelton, Shillington, Silsoe, Skimpot, Slip End, Souldrop, Southcote, Southill, Stagsden, Stanbridge, Stanford, Steppingley, Stevington, Stewartby, Stotfold, Streatley, Studham, Sutton and Swineshead. Tebworth, Tempsford, The Hyde, Thorn, Thorncote Green, Thurleigh, Tilsworth, Tingrith, Toddington, Totternhoe and Turvey. Upper Caldecote, Upper Dean, Upper Gravenhurst, Upper Shelton, Upper Staploe, Upper Stondon and Upper Sundon. West End, Westoning, Wharley End, Whipsnade, Wilden, Willington, Wilshamstead, Wilstead, Wingfield, Wixams, Woburn, Wood End, Woodside, Wootton, Wootton Green, Wrestlingworth, Wyboston and Wymington. You cannot beat relaxing whilst watching logs burn, don’t you think?